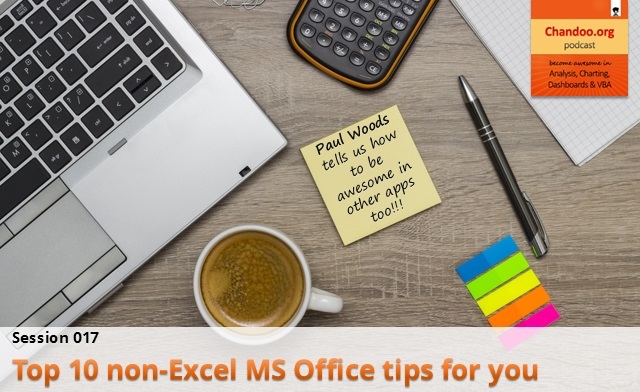 In the 17th session of Chandoo.org podcast, lets leave Excel aside and talk about other MS Office apps. Thats right. We will be learning 10 tips on how to use Word, Power Point, Outlook etc. Ready?